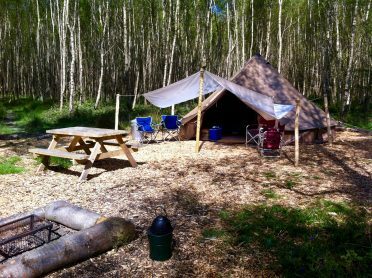 Group glamping and camping options at The Secret Campsites in Sussex. The Secret Campsite Beech Estate (formerly know as Eco Camp) offer some great group glamping and camping options. Whether you want to camp with a couple of friends in neighbouring bell tents, or fancy hiring out a whole meadow for extended family to pitch their tents in, we’ll have something to tempt you. 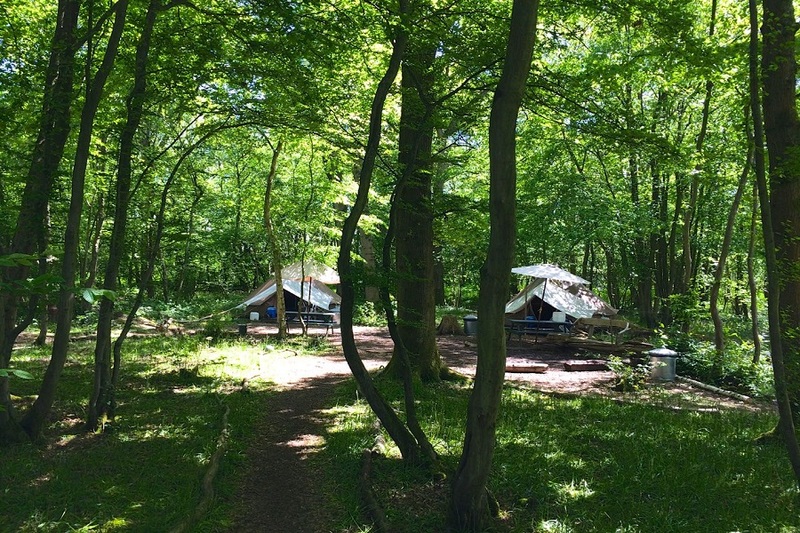 Our off-grid woodland campsite is designed to help you relax in natural surroundings. Beech Estate campsite is perfect if you want to catch up with friends and family around the campfire. Our campsite is quiet, family-friendly sites and amplified music is not allowed at any time. So great for a relaxed gathering but if you’re looking for an all-night party, then it’s not the right place. The Secret Campsite Wild Boar Wood also offers groups the opportunity to hire exclusively our nine bell tents. The glamping only site is perfect for smaller groups to hire a number of bell tents together. 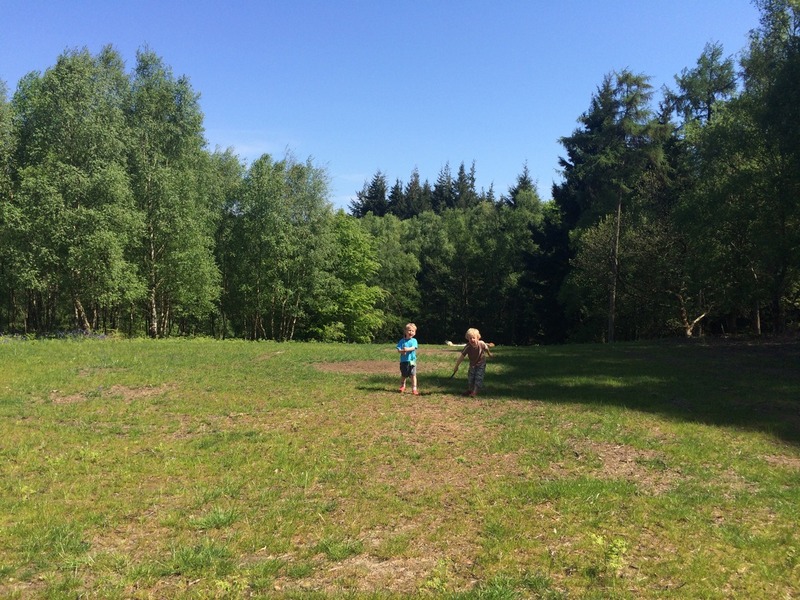 The Woodland Meadow is ideal for a larger group of families wishing to pitch their own tents together. This area is generally reserved exclusively for a group of 10-15 families – but on occasions we do split the area to include two groups. The meadow is a unique tree-lined area, relatively close to the car park and within a short distance of the flushing toilet facilities (including indoor and outdoor showers). The meadow also has it’s own compost toilet and drinking water point. This area provides a group with a pitch well away from other campers in your own section of the campsite. The Faraway Group Pitch (F4) is a large clearing situated on the ridge of the valley. It is bordered on one side by the woodland and overlooking Beech Creek. It is an area large enough for up to eight tents, with the ability to include a big double pitch next door. These Faraway Pitches, although a further walk from the car park (approx. 300m), are among the most spectacularly scenic of the camping spots at Beech Estate. There is a compost toilet, washing-up area and two bucket showers (all supplied with hot/drinking water) nearby. The flushing toilet facilities are approximately 150-200m away. This area provides a group with a pitch well away from other campers in your own section of the campsite. 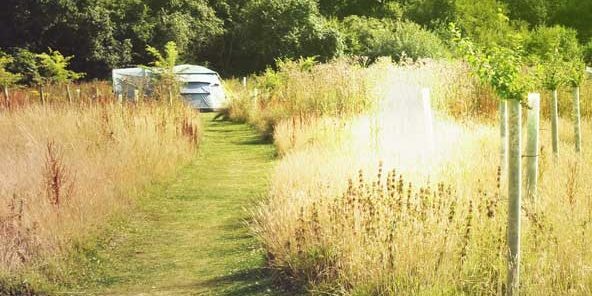 Beech Estate allows you to combine your own pitched tents with our ready-pitched glamping bell tents. We have several different options for combining tents in this way in different areas of the campsite. There are a maximum of 4 bell tents within a close range of each other that can be combined with 3-4 other pitches. Please contact the booking office to arrange the most suitable option. A smaller group has the option of utilising a combination of pitches within the main camping area. We have a number of large spaces with room for five tents (depending on size). The flushing toilet facilities are approximately 100m away. All other facilities, including bucket showers, washing-up area and compost toilets are close by. For more information on group camping and glamping options at Beech Estate, please check out at Group Accommodation page. 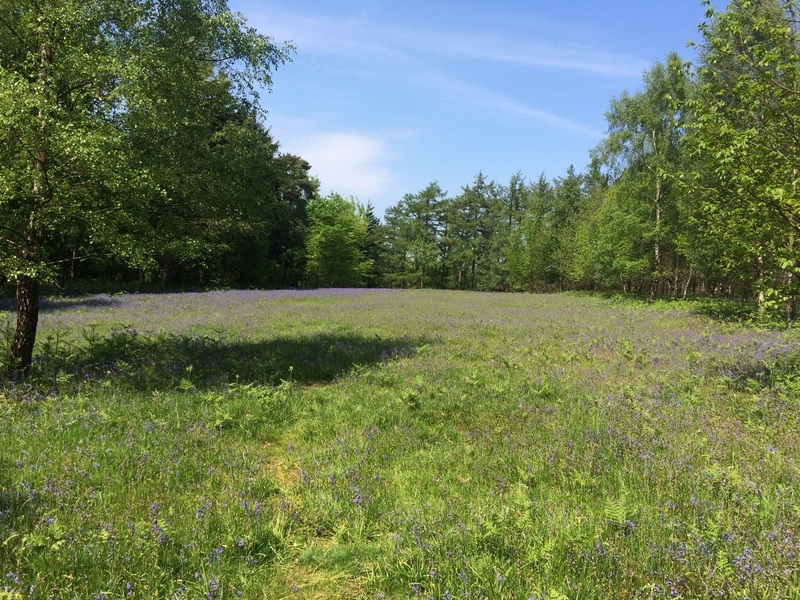 Wild Boar Wood is our glamping-only site near Haywards Heath in West Sussex. 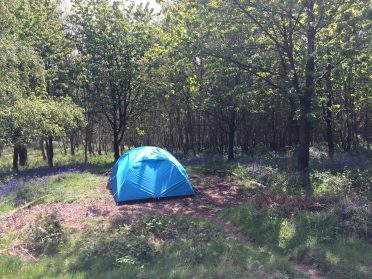 There are just nine bell tents in the a small five-acre bluebell woodland. Small groups of two, three or four families can glamp together in the central area. There is a larger fire pit area which is perfect for group campfires. Full campsite bookings are available too which means that groups can book all nine bell tents for exclusive use of the woodland. 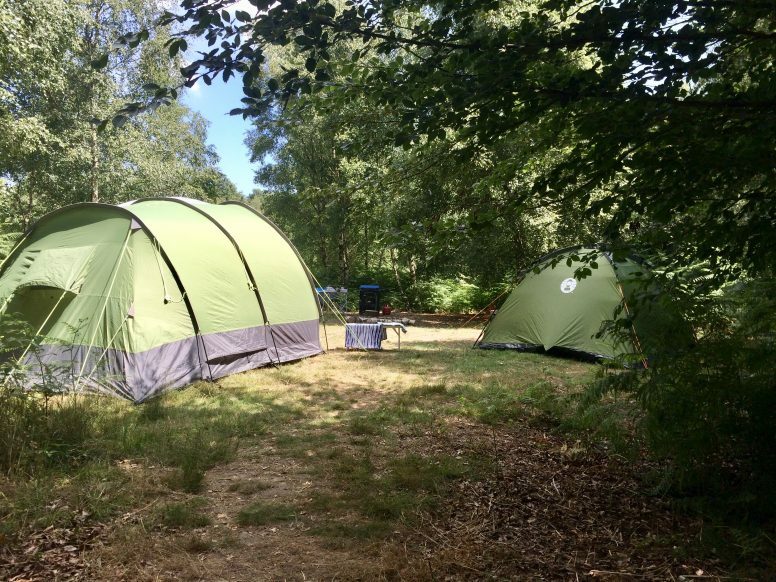 For more information about group glamping or exclusive hire at Wild Boar Wood, please check out our Group accommodation page. The Secret Campsite Lewes does not cater for groups. However has a number of double pitches for two or three families wishing to camp together. The does allow mid-week exclusive hire of the whole campsite. Please contact the office for details if interested.